**BACK ON MARKET** !! BEST BUY IN ASTOR FARMS 5/3 WITH OVER 3,300 SQ. FEET !! WOW! Priced below appraisal!!! 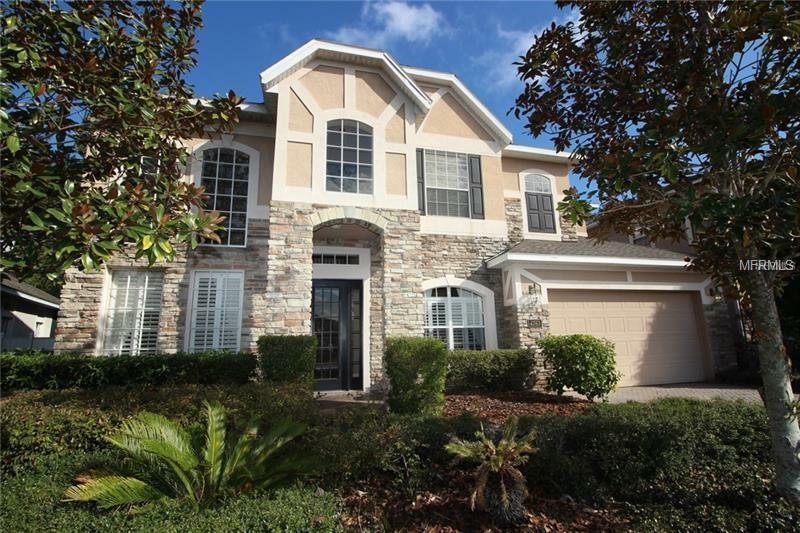 Beautiful, Immaculate 5/3 in desirable gated community Preserve at Astor Farms. This Tudor inspired home has a two story ceiling in your spacious formal living room with adjacent formal dining. The open kitchen has NEW GRANITE counters, 42" wood cabinets, stainless steel appliances and tile backsplash. There is also a butler's pantry with plenty of extra cabinet space and built in wine storage. A large bonus room on the first floor allows special options. The master retreat has a huge walk in closet and a sitting area that can be used as an office. Also, the master suite has a large shower head, large Jacuzzi tub and his and her sinks. Plantation shutters are located throughout the home. The 10' ceiling allows a spacious atmosphere. You have a private wooded view from the screened lanai in the back yard. This outstanding home is located near major highways, shopping, restaurants and A rated schools. One look and you will be pleasantly surprised. Take the look today. Additional Lease Restrictions Please Check Hoa Rules Regarding Rentals.